For at least the second time in the Wii's lifetime, a key Nintendo franchise has a game-breaking bug. 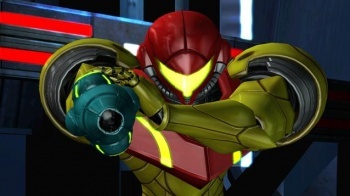 The majority of gamers seem to be getting a positive experience out of the latest Metroid title for the Nintendo Wii, Metroid: Other M released on August 31. However, a segment may be filled with rage after reaching a certain point plagued by a game-breaking bug. The eastern part of Other M's sector 3 contains a door that may be red/locked, a bug detailed in an IGN walkthrough. If Samus swings across the sector's deadly pool of lava with her grappling beam and encounters this locked door, she'll be stuck. Nintendo is aware of the bug and offers no solution other than a reload or a restart. The company may reportedly release a fix through a firmware release, but hasn't made it known what it plans to do about the issue. Exactly what makes the bug appear is also unknown. This isn't the first time a game-ending bug has been found in a game starring one of Nintendo's key players, with a Legend of Zelda: Twilight Princess bug found years ago. The good part about the Twilight Princess bug is that players at least discovered what caused it - saving in a particular spot at a particular time - though it was only fixed in later disc releases and not through a patch. The Metroid: Other M bug is mysterious occurrence that may not be widespread, but seems to be frustrating people nonetheless.